I know that it’s still November, but it feels distinctly like winter outside. The wind has whipped all the leaves off the trees, and I’m glad to wear my down jacket when I go out for my daily walk. So I was quite delighted when I drew Roland Mesnier’s Dessert University for this month’s Random Recipes challenge, and opened to the rice pudding recipe. 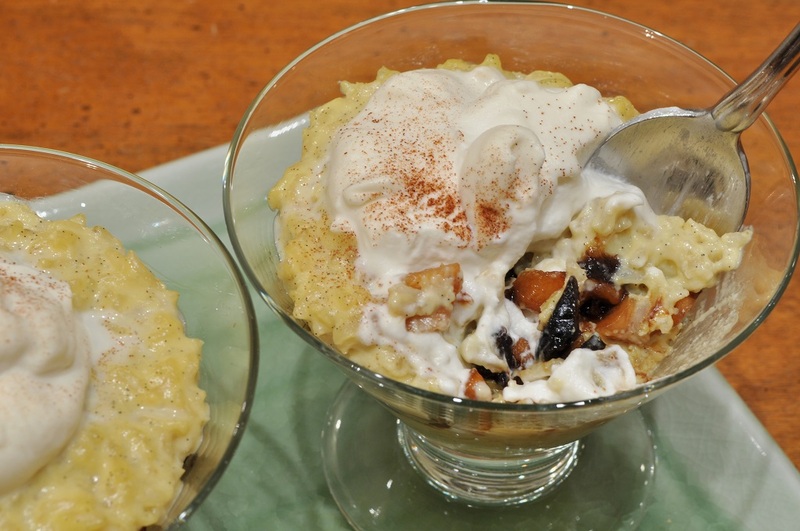 Rice pudding is the perfect winter dessert, so cozy and warming. I know there is a large camp of people who don’t like rice pudding, but I have never understood why. I suppose I never shall. The secret to truly superlative rice pudding, in my opinion, is using a real vanilla bean to flavour it. Vanilla extract simply won’t do. The pudding must be flecked with all those lusciously aromatic little seeds. It makes all the difference in the world. Chef Mesnier’s recipe, I am happy to say, recognizes this fact. I know we’re supposed to follow the recipes we drew exactly, but I didn’t quite manage it. I only changed one ingredient, but it was rather an important one: the rice. I always eat brown rice, so I used that in my rice pudding instead of the long-grain white rice that was called for. And it was basmati rice, on top of that. But it was the only kind I had in the house. So I ended up adding extra milk and increasing the cooking time, because brown basmati rice doesn’t cook exactly the same way long-grain white rice does. Even then, the pudding never became as creamy as ordinary rice pudding: the grains of rice remained fairly distinct and kept some firmness. And the basmati gave the pudding a noticeably nutty fragrance, which I enjoyed very much. It added a slightly exotic touch to what is usually a very homey dish. 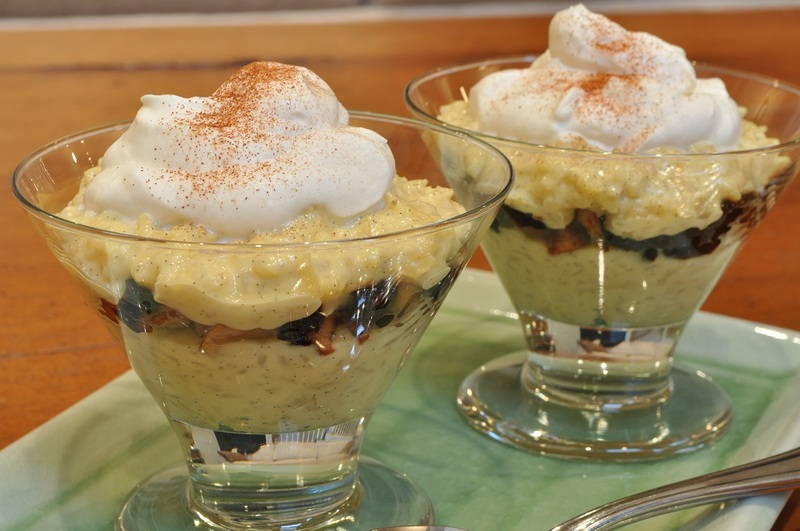 Chef Mesnier suggests serving the rice pudding over some kind of fruit, but as he does not call for any one specific kind in the recipe, I was at liberty to use whatever I liked. I wanted to make something appropriately wintery, so I felt dried fruit would be the best. (This blog is being overrun with dried fruit this month, I realize.) 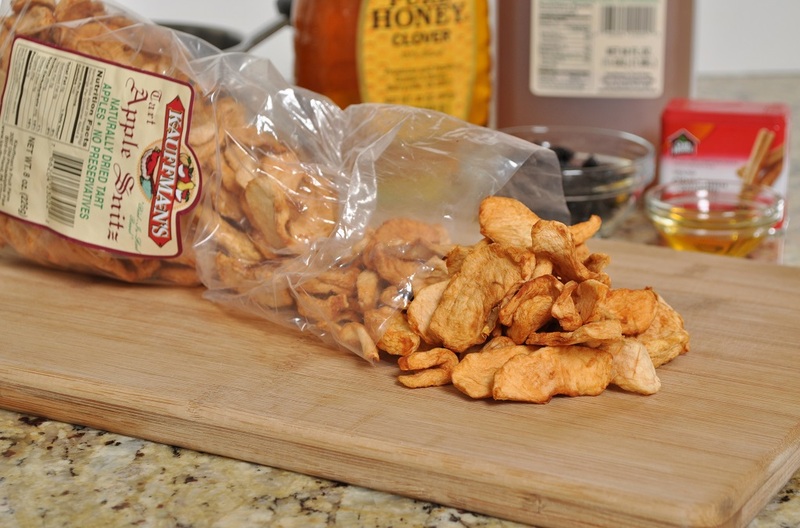 I chose to take the dried apples that I had bought from the Pennsylvania Dutch at my local market—they call them snitz –and stew them with honey in some apple cider that I had also bought at the market. 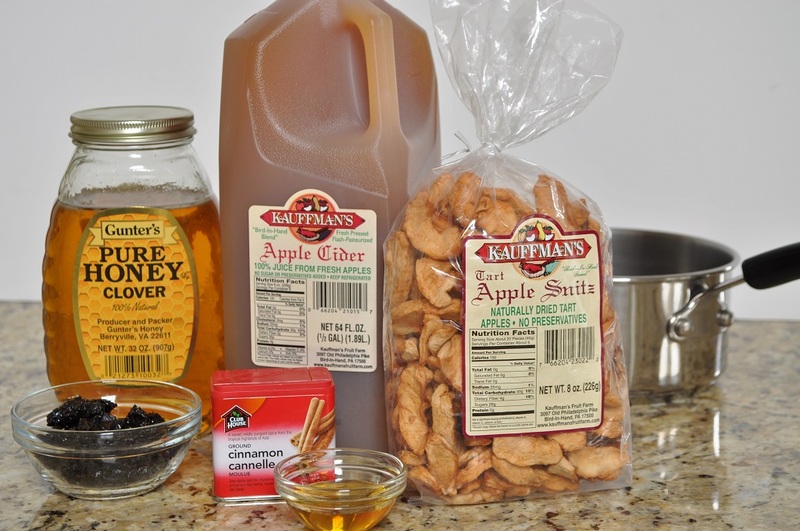 Both the snitz and the cider came from the same vendor, Kauffman’s Fruit Farm, which is located in Bird-In-Hand, Pennsylvania. Isn’t that the most adorable name? After some consideration, I decided to add some prunes as well. This second addition, I am afraid, alienates yet another group of eaters, those who dislike prunes. I have often been amused by people who hate prunes, and yet still like plums. I wonder how many of them would change their minds about prunes if they realized that they were merely dried plums. 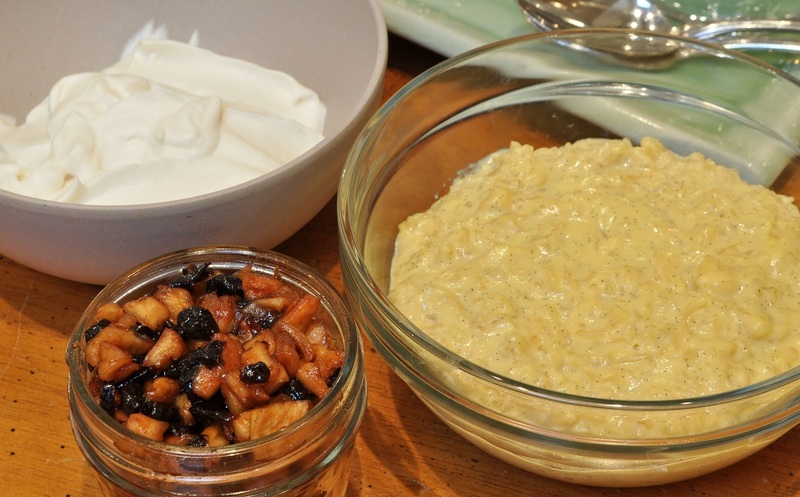 At any rate, for those of us who do like prunes and rice pudding, this recipe is perfectly delicious. And who knows, perhaps it might even convince some of the detractors. This recipe, as I mentioned, is my submission to Belleau Kitchen’s Random Recipes challenge. This was my first true “Random Recipes” submission, because last month was a special challenge that did not require blindly selecting a cookbook and opening it to a random page. I must say that I was about as lucky as I could possibly be in the recipe I chose. I also am submitting this recipe to the Shop Local challenge over at Elizabeth’s Kitchen Diary. The cider and dried apples are, of course, the most important local ingredients, but the milk and cream also came from the Pennsylvania Dutch vendors at the market. I love being able to buy so many of my ingredients from my local market. Combine the milk, rice, and sugar in a large saucepan. Split the vanilla bean in half lengthwise, and use the flat side of a knife blade to scrape the seeds from the pod. Add both the seeds and the pod to the pot with the rice and bring the mixture to a boil. Turn the heat down to low and simmer, stirring occasionally, until the rice is cooked through and the pudding is creamy, about an hour and 10 minutes. The grains of rice will still have a slight firmness. While the rice is cooking, make the compote. Combine all the ingredients in a small saucepan and simmer over low heat until the fruit has absorbed all the liquid. Transfer to a bowl and set aside. Once the rice is finished cooking, whisk the egg yolks and cream together in a large heatproof bowl. Add a spoonful of the rice and stir well. Repeat with a few more spoonfuls, and then whisk the egg mixture into the rest of the rice in the saucepan. Bring back to a boil, stirring, and then remove from the heat. Pick out the two vanilla bean pod halves and discard them. 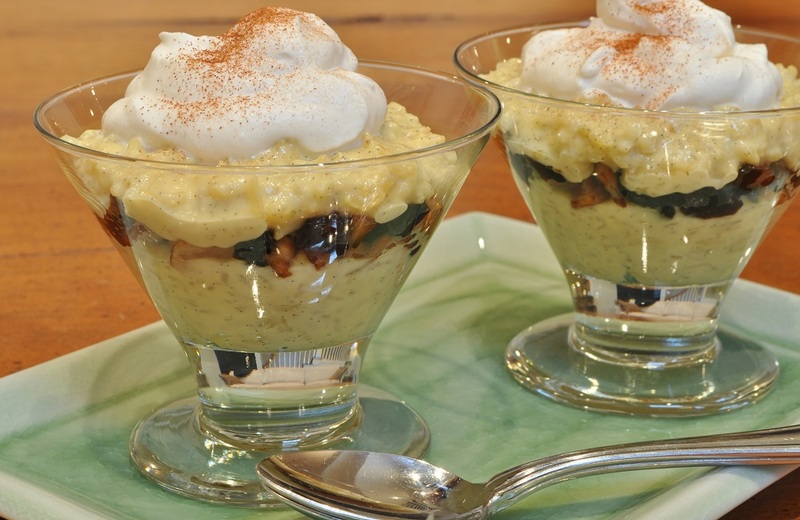 Distribute half of the rice pudding evenly among four small parfait glasses. Divide the compote evenly among the four glasses, making sure to spread it all the way over the rice pudding to the sides of the glasses. 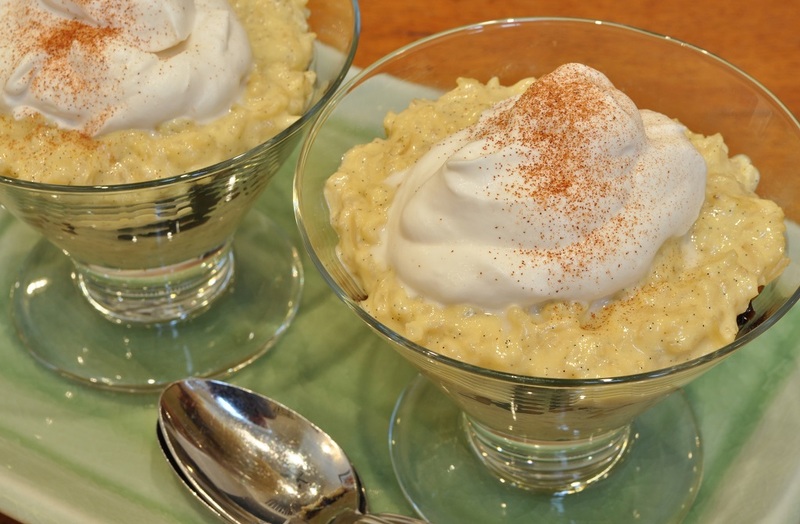 Spoon the rest of the rice pudding over the compote in the glasses and garnish each serving with whipped cream and a dusting of cinnamon. Thank you, Dom. 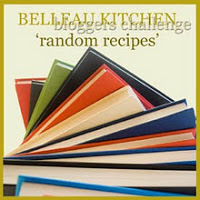 I’m eager to see what the challenge will be for December, as you hinted that it was not going to be a regular “random recipe.” My curiosity has been piqued! I have to admit that I am in the ‘don’t like rice pudding’ camp. I don’t like risotto either. The whole soggy rice texture is blergh to me, but your version sounds more appealing. The texture imparted by using basmati rice might make me change my mind! Bookmarked! 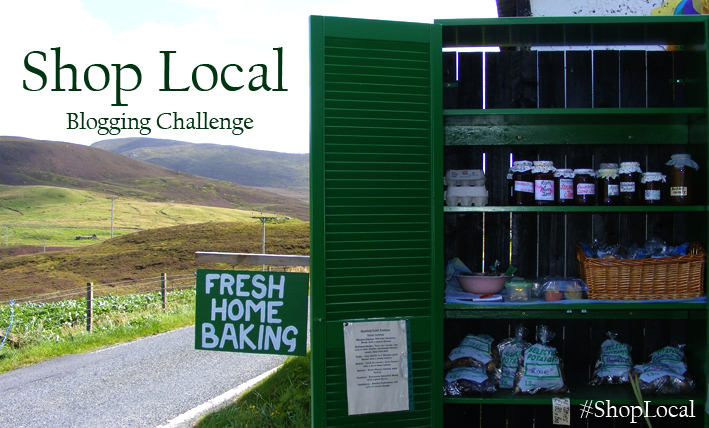 Thanks for sharing your fab recipe with #ShopLocal! I can assure you that this rice pudding is not in the least soggy. Fingers crossed that you like it!